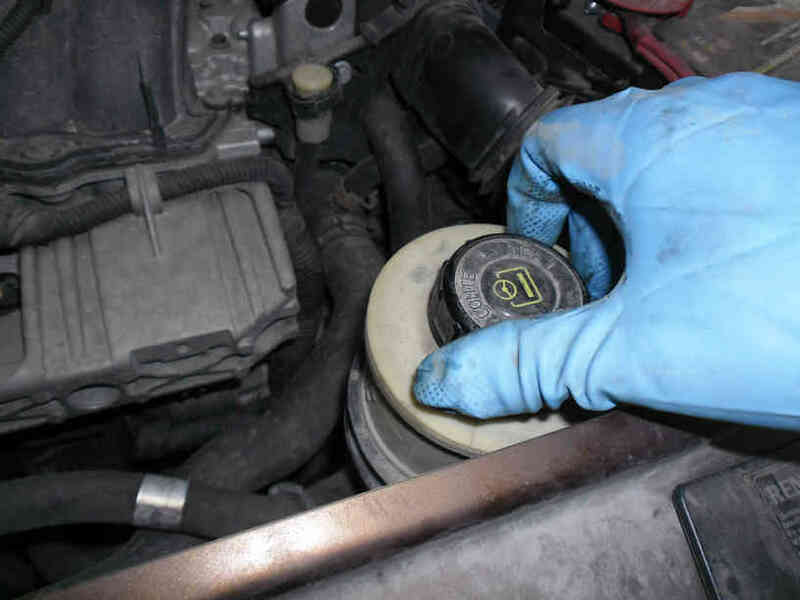 Use only specific hydraulic fluid used for power steering and older automatic gearboxes. 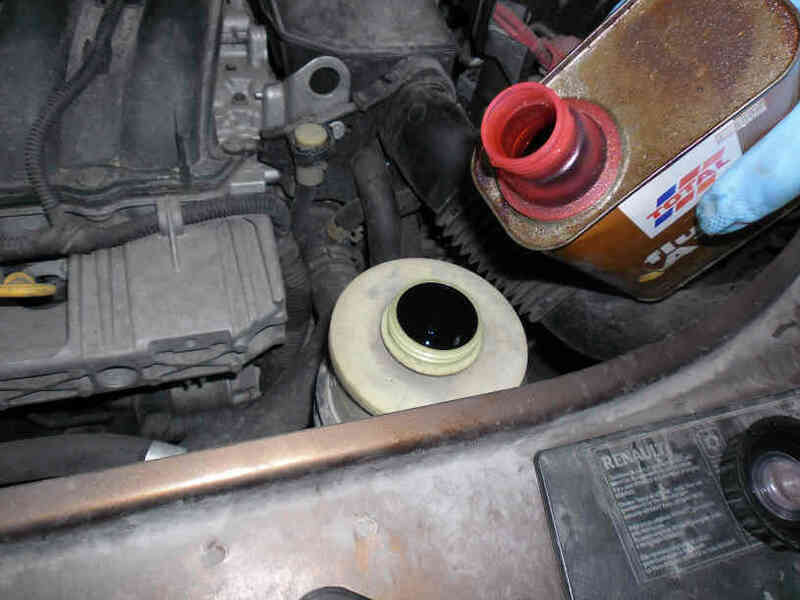 NOTE: the below pictorial shows a Dacia Duster steering fluid reservoir but works are similar or identical on all vehicles equipped with a hydraulic power steering system. Open the fluid container and observe well the level indicator. 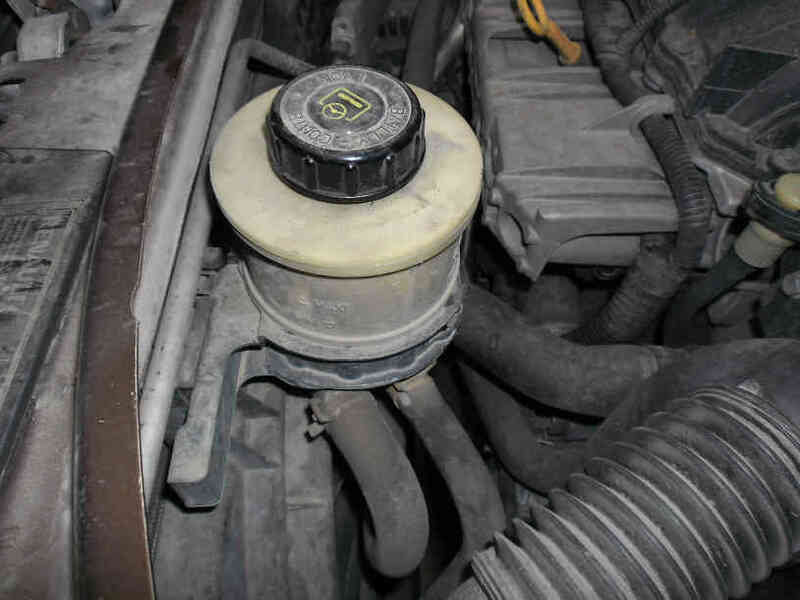 It consists of two arcs molded in the bottom of the filter as shown in this picture. Steering fluid level low = lower than the arcs. Arcs are uncovered and visible. Steering fluid level high = higher than the arcs. Arcs are covered and no more visible. Carefully add power steering fluid until the arc indicators are just covered and their top slightly visible. Close well the steering fluid canister.